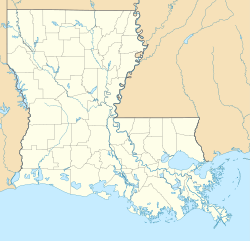 Buras is a census-designated place (CDP) in Plaquemines Parish, Louisiana, United States. Its population was 945 as of the 2010 census. Prior to the 2010 census, Buras was considered to be part of the Buras-Triumph CDP. In November 2006, Jeré Longman of The New York Times wrote that "almost no evidence of recovery exist[ed]" in the post-Hurricane Katrina period. In December 2007, Logman reported that there was still "little sign of recovery" in Buras. In the pre-Katrina period (before 2005) Buras had about 30-40 Cambodian shrimpers. In the post-Hurricane period Brenda Kap, quoted in The New York Times, stated most of them had returned. It is served by South Plaquemines High School in Buras. Prior to 2005 Buras Middle School (grades 6-8) and Buras High School (grades PK-5 and 9-12) served the community, but Hurricane Katrina damaged the buildings. In the immediate post-Katrina period no new campuses opened in Buras, leading some residents to feel that the community may further erode. The permanent school building of South Plaquemines High was established on the site of the former Buras Middle School, while faculty residences were placed on the property of the former Buras High School. ^ "Buras". Geographic Names Information System. United States Geological Survey. ^ Longman, Jeré (2006-11-21). "Season of Renewal Ends in Defeat and Doubt". The New York Times. Retrieved 2016-12-03. ^ Longman, Jeré (2007-12-05). "A Razor-Sharp Focus Trumps Uncertainty". The New York Times. Retrieved 2016-12-03. ^ Longman, Jeré (2006-11-03). "Mother Helps Her Son Find a Safe Harbor in Football". The New York Times. Retrieved 2016-12-03. ^ "Buras Middle School." Plaquemines Parish School Board. March 22, 2004. Retrieved on December 3, 2016. ^ "Buras High School." Plaquemines Parish School Board. March 22, 2004. Retrieved on December 3, 2016. ^ a b "Plaquemines Parish Comprehensive Master Plan 8. Public Facilities and Services." Plaquemines Parish. p. 9/34. Retrieved on December 3, 2016. ^ Longman, Jeré (2006-09-29). "The Hurt After Katrina Continues for a Prospect". The New York Times. Retrieved 2016-12-03. Print: p. D1, New York edition, "The Hurt After Katrina Continues for a Prospect"